Marshall Ulrich is an elite extreme endurance athlete, as well as an accomplished speaker, author, trainer, and guide. Ulrich has finished over 125 ultra marathons, climbed the Seven Summits, including Everest, all on first attempts, and has completed 12 expedition-length adventure races. At the age of 57, Ulrich broke two transcontinental speed records when he ran 3,063.2 miles in 52.5 days from San Francisco to New York, about which he wrote his book, “Running on Empty.” A record four-time winner of the Badwater Ultramarathon and still the record holder to the summit of Mount Whitney, Marshall has crossed Death Valley on foot, in July, a record 25 times, including the first-ever self-supported circumnavigation of Death Valley National Park. Ulrich has also raised more than $850,000 for various charities. Doug Bell has been running since the 1970’s and still holds several national age group records. He has three Denver Marathon victories under his belt, in 1980, 1982, and 1986, and he set his marathon personal best of 2:23:24 at the 1981 Dallas White Rock Marathon. As a Masters runner, Bell continued to excel, and was named 1991 USATF 40-44 Age Division Runner of the Year. He set Masters Records in 1992 in both the 5K (14:36) and 25K (1:21:24), as well as set the American Indoor Mile record in 2006 in 4:49:62 at age 55. He was the 2011 USATF Cross Country Masters 60-64 Age Division Winner and led his Master’s Team to the Team Championship. 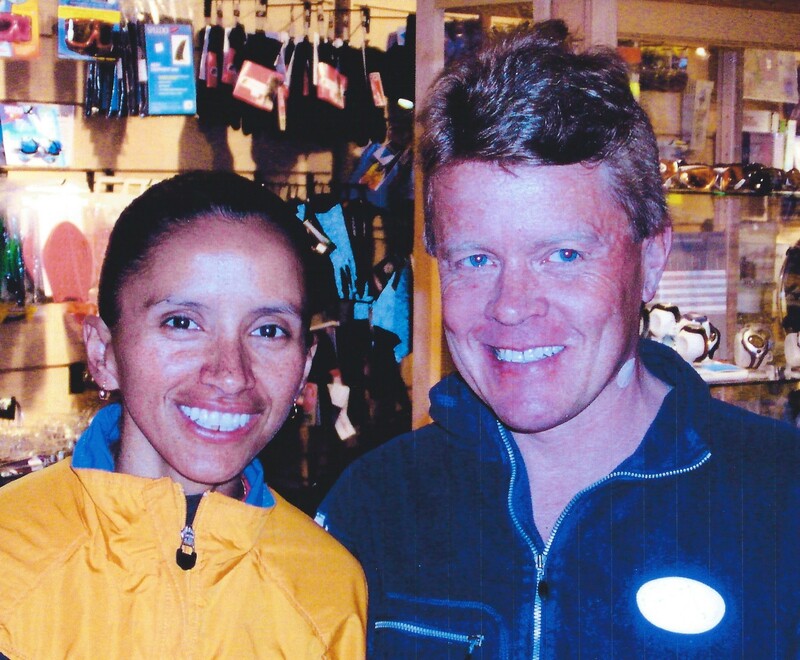 He started Bells Running Store in Greeley in 1986 and continues to train in his own Bells Running Group.